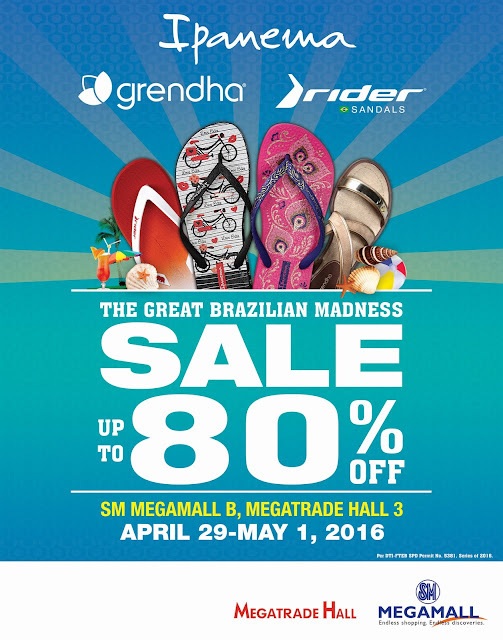 Summer won't be the same without the Great Brazilian Madness Sale where you can enjoy up to 80% off. 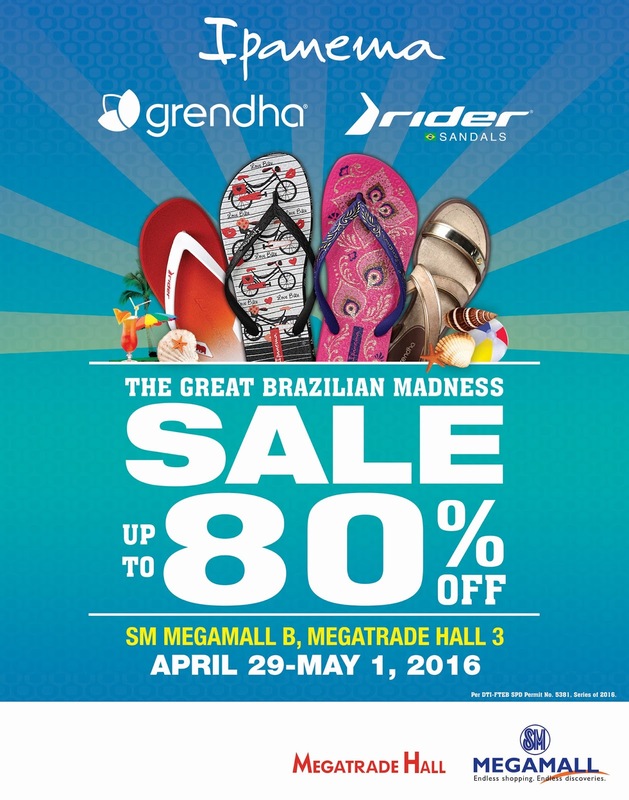 Great Brazilian Madness Sale in SM Megamall is from April 29 to May 1, 2016. Beat the summer heat, enjoy a wide range of footwear style and selection withIpanema’s colorful and trendy flip flops, Grendha’s sophisticated yet playful sandals andwedges or Rider’s after-sport and adventure footwear.